There are currently 87,829 users on this website. 40% Silver Inc Bicentennial Quarter Reverse Die Break? Hello again. Found an old Bicentennial Uncirculated CV set I've ha since I began collecting in '83. The Kennedy had packaging damage, so I broke it up. Ike was OK, but George was exceptionally clean compared to the others, until I noticed what I thought was PMD on the first "S" in "States". 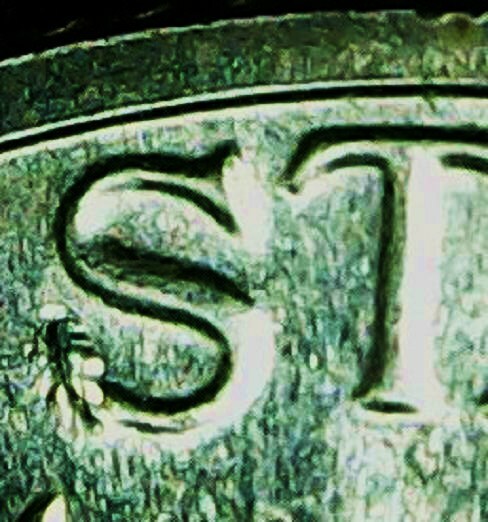 Didn't look like PMD under 16x loupe, so I sprung $13 whole dollars for a USB "coin microscope". Pics are much clearer than smartphone, so here they are. Doesn't look like a particularly worn die. Looks like a die chip forming there. It looks as if it took a hit. 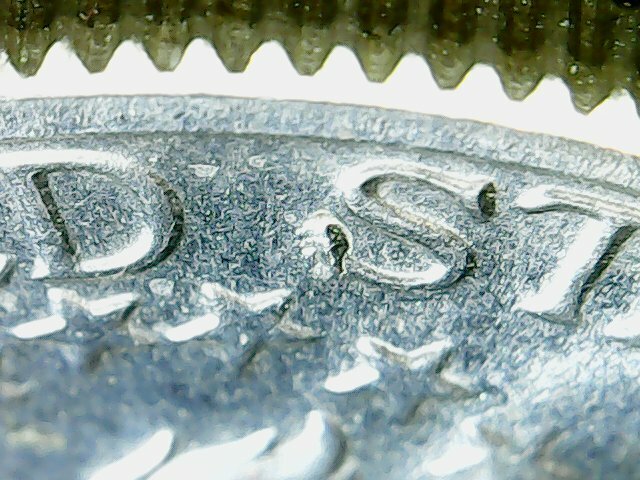 I have a Bicentennial silver uncirculated set and poor Ike took a hit by another coin with a reeded edge. That was done BEFORE it was put into the sealed wrapper. Looks raised so I'll go with die chip also. Either way it is a non premium coin. I agree. It's a Die Chip.